Land is located east of Georgetown on Hwy. 29 & CR 341 and CR 124. 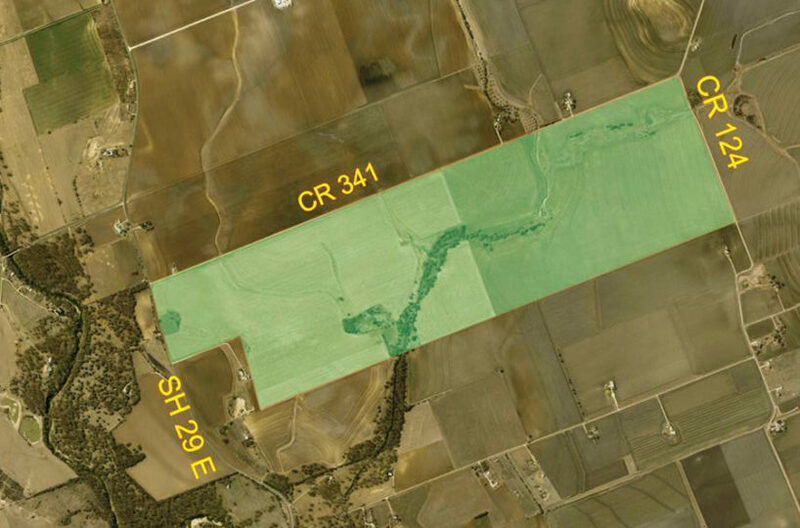 Property has approximately 1.1 miles of frontage on CR 341, 0.4 on CR124 and approximately 0.3 miles of frontage on Hwy. 29. Property is 1.8 miles from intersection of Hwy. 29 and Hwy. 95; 10 miles from Hwy. 29 and Hwy. 130; and 13.9 miles from Hwy. 29 and IH-35. This property is being offered for sale in its “AS IS, WHERE IS” condition. This property has excellent potential for development with approximately 1.4 mils of frontage on Hwy. 29 and CR 341. Property is strategically located to transportation corridors – i.e. Hwy. 29 and Hwy. 95; and future road developments. Location offers a pristine country setting with Pecan Creek on the property.